Cocos Island is a designated World Heritage site and a National Marine Park located 550km from the mainland of Costa Rica. Largely uninhabited, the island is home to crystal clear waters with rarely touched dive sites and amazing marine life with some of the most thrilling diving you will ever experience. 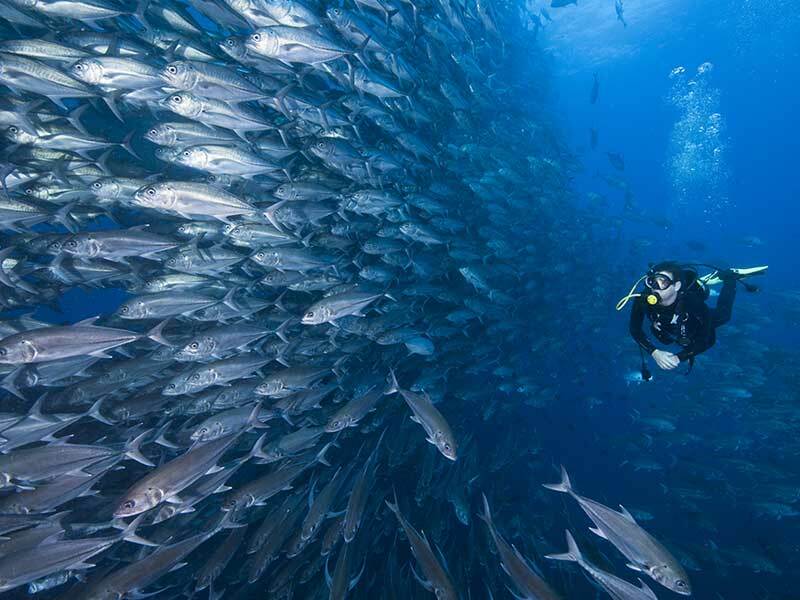 Cocos Island is a World Heritage site and Marine National Park located 55okm off the pacific coast of Costa Rica. Uninhabited, except for park rangers, the island is also known as Isla del Coco and covers an area of over 200,000 hectares. The crystal clear waters surrounding Cocos island can only be accessed by liveaboard and are packed with marine life and large pelagic species such as Hammerhead sharks, Galapagos sharks, Silvertip and Silky sharks, large rays, dolphins, green turtles and octopus. Explore the 20 remote dive sites around the island ranging from shallow but steep vertical walls to deep pinnacles and drift dives. Once known as the place that only the diehard divers go, Cocos is now a place that all divers can enjoy. Situated off the north east corner of Cocos this dive makes up part of Chatham Bay. The north side of the bay has a steep sloping north side towards deeper water and a gentle slope on the south side. With Cocos Islands famous night dive on the south side you will have a chance to see hunting fish and white tip reef sharks. During the day this is a stunning reef dive with frogfish, marble rays and beautiful corals. 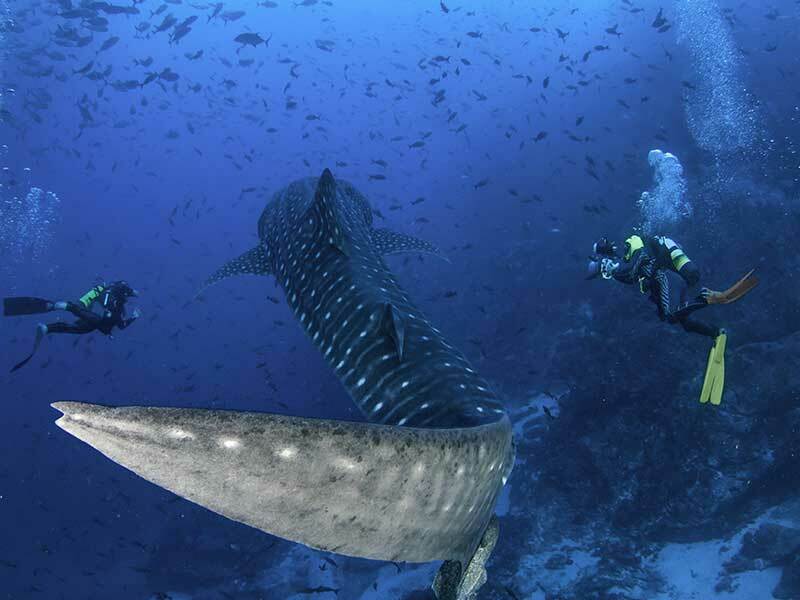 Diving on the north side provides you with a chance to see tiger sharks, whale sharks, hammerheads and rays. 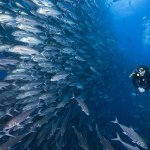 This is another famous dive site in Cocos. 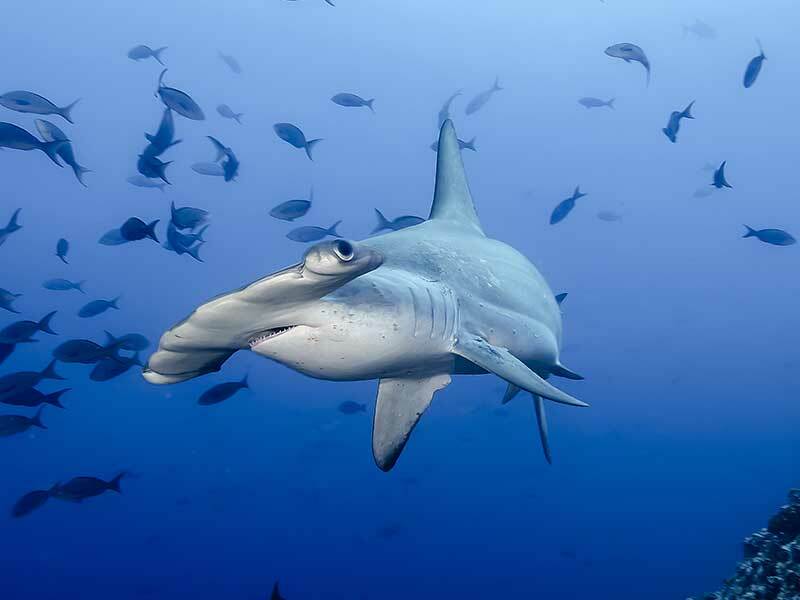 You will have the best opportunity to see schools of hammerheads and large schools fish species such as yellowfin tuna, marble rays, jacks and silky sharks. This dive site is an underwater seamount with strong currents, there is a permanent anchor line down until you reach the reef and start your journey. Dirty rock is considered as one of Cocos Island’s most famous dive sites and hosts one of the most stunning rock formations. 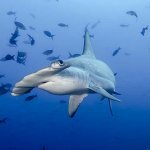 This dive site is an excellent way to see schooling hammerheads, eagle rays, green turtles and Galapagos sharks. If you choose to dive westwards towards the islands pinnacle you will be able to see small cave full of lobsters, eagle rays and turtle cleaning stations and if you are lucky you will be able to spot an octopus and other large schools of fish here too. You can head to Cocos Island all year round. 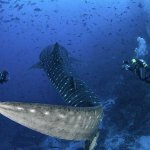 The rainy season (June to November) is the best time to dive as even with the higher chance of rain this is when you have more chance of seeing pelagic fish such as hammerhead sharks, whale sharks and manta rays. From there it is around a 2 hour drive to Puntaranesa to access liveaboard departures. By liveaboard it will take 36 hours to arrive at Cocos Island. Cocos Island has a variety of liveaboard diving options to choose from. Contact our Active Travel Experts for insider tips on tailor-made dive experiences.